This probably isn’t a book I would have chosen on my own, but it’s my book club’s book for this month, so I decided to give it a shot and ended up really enjoying it. 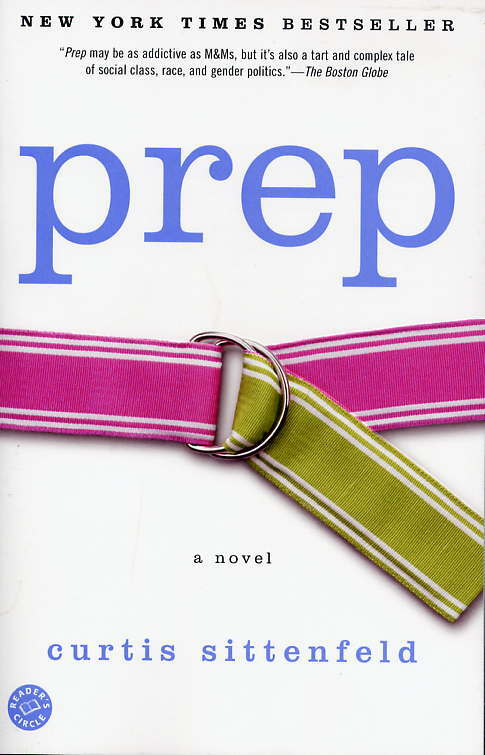 Prep tells the story, in first person, of Lee Fiora, an average girl from a working-class family in the midwest who convinces her parents to allow her to attend a boarding school. She is accepted to the prestigious Ault School in Massachusetts on scholarship and leaves home at the age of 14. The story covers all four years of her high school experience at Ault, where the majority of the kids come from wealthy families, class distinctions are apparent, and cliques are prevalent. As a scholarship student, and as a homogenous mid-westerner, Lee seems to reside on the periphery of things, hyper-observant of those around her, and painfully self-aware. Over the course of her four years at Ault, she invests in complicated friendships, enters into her first sexual entanglement, grows more distant from and disdainful of her parents, and ponders a whole lot. Although the boarding/prep school experience is not one that many people can relate to, the angst of being a teenager trying to find a place for oneself is pretty universal. A couple of things that struck me were how well Sittenfeld expressed that exquisite self-awareness I remember having as an adolescent – when I was so aware of my every thought and feeling – though I couldn’t necessarily name every feeling – and I could sit for what seemed like hours thinking my thoughts and analyzing it all. The other thing was how heartbreakingly accurate Sittenfeld paints the plight of so many young girls – and women, too! – who allow themselves to be used and demeaned, who agree to do things they may not actually want to do, because they believe it will make a boy like them. The book is a little on the long side at nearly 450 pages, and there’s no real climax to the story, but I found it to be well written, engaging, and relatable.